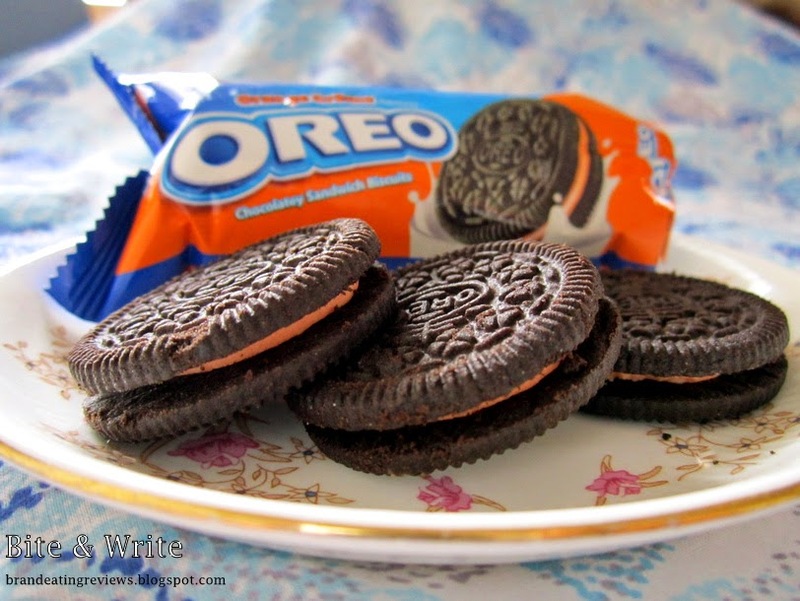 Cadbury India (a part of Mondelez International) recently launched a new variant of Oreo cookies in India. 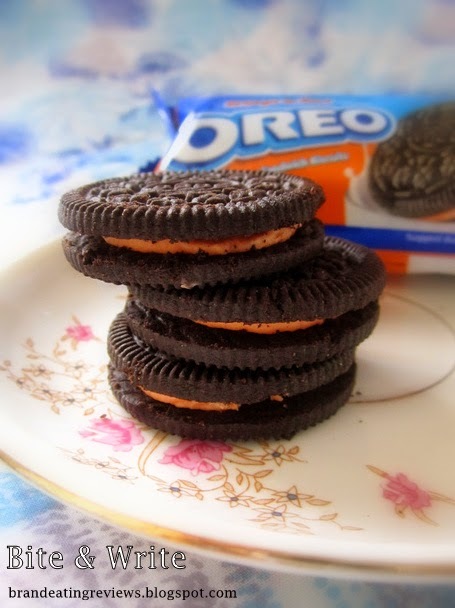 The Orange Créme Flavored Oreo is the fourth addition to the list of Oreo Chocolatey Sandwich Biscuits, after Vanilla, Chocolate and Strawberry. I have previously had cakes that featured a fusion of chocolate and fresh orange juice. The combo of slightly bitter dark chocolate and tangy orange is pretty interesting. 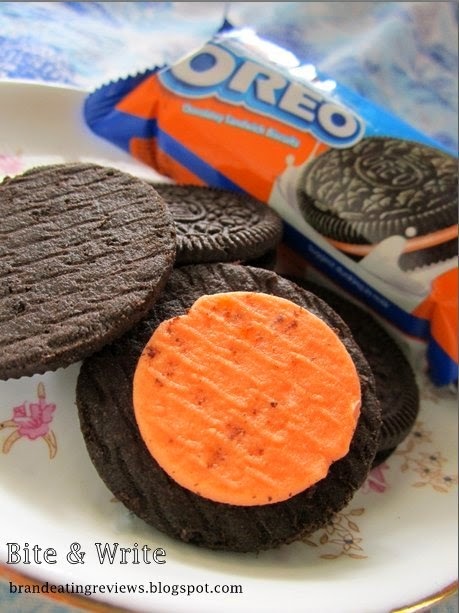 I decided to try out the Orange Créme Flavored Oreo. So with high hopes, I picked the small pack of 6 cookies from the shelf and placed it in my shopping cart. Let's see how it went! As you can see, the cookies look very beautiful. 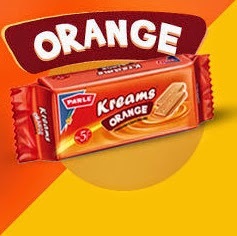 I like the contrast between brown biscuit and orange cream. It looks very inviting and delicious. So, I took a bite and I found myself deceived by its good looks. The chocolate biscuit was crunchy. The orange cream tasted inorganic and artificial. There was too much sweetness and artificial essence of orange. There was no tang. The cream was so overpowering that I could not taste the typical slight bitterness of the biscuit. It was just a sweet mess. I really love the Vanilla and Chocolate cream Oreos. The Orange cream is nowhere near them. The aftertaste was really unpleasant. I tried having them with milk, but didn't make a big difference. I do love oranges. But this one was just too sweet for my taste. 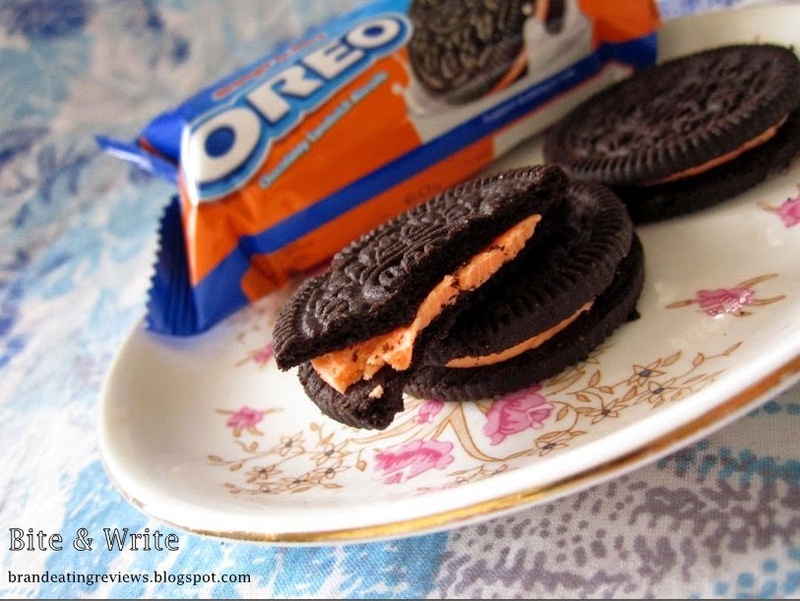 In short, Orange Créme Oreo is the Jar Jar Binks of the Oreo universe. 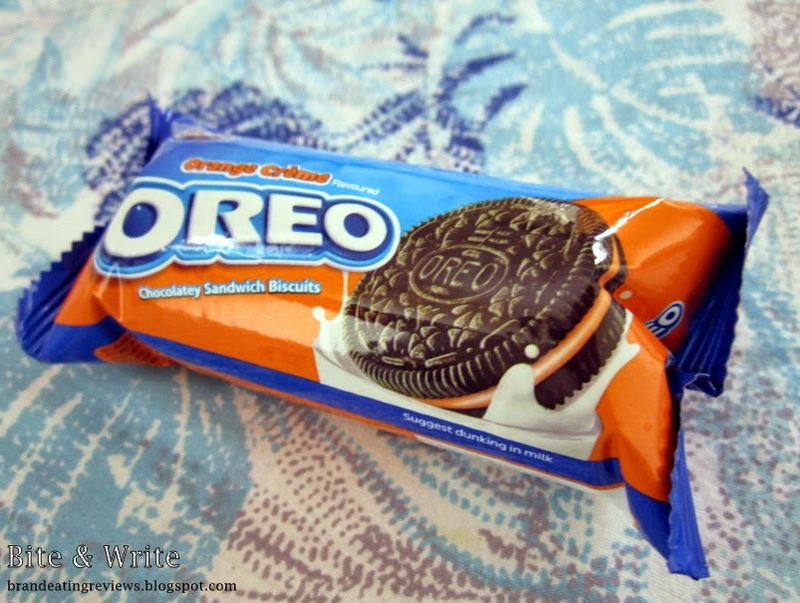 These Oreos tasted like Parle Kreams Orange. Good thinking that I picked a small pack. 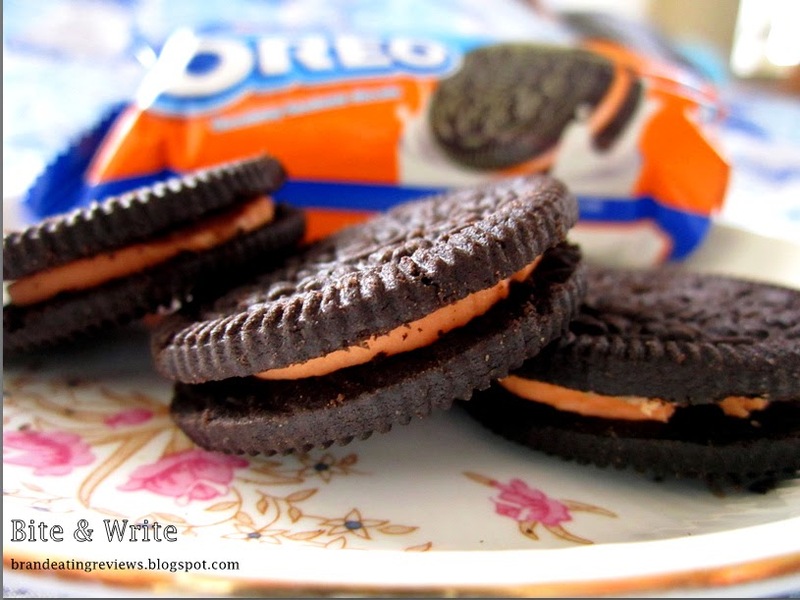 Unfortunately, there Orange Créme Oreos failed to woo me. Will I buy these again? Not at all! Yeah it's not a very good cookie. My kids and I recently tried party cake Oreos. They weren't as good as the original. I suspected the same would be true for the orange Oreos. They are pretty, though. Did you try chocolate oreo with milk?